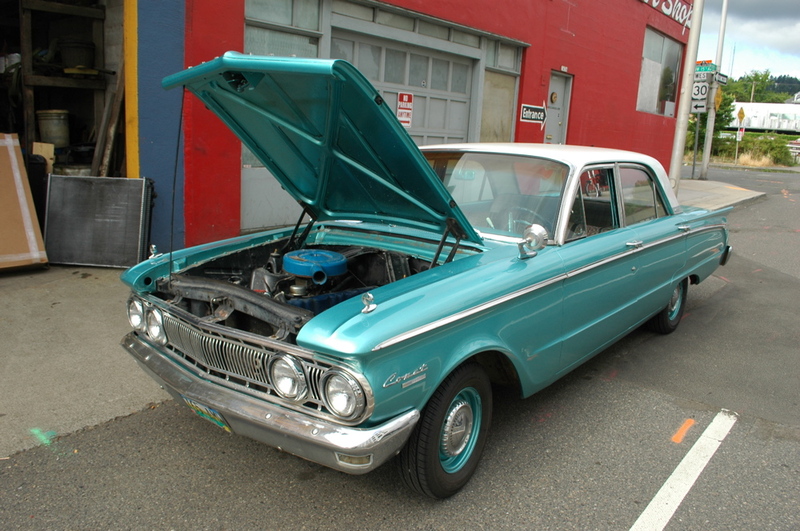 This is the car my folks had when they got married, same color too. On their wedding day, in addition to the gaudy decorating of the car, my uncle attached something to the motor that was supposed to go 'bang!' when the car was started. Well, 'bang!' 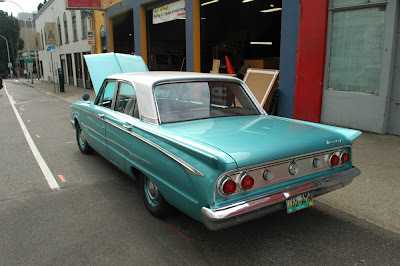 it did, and my folks ended up driving, for their honeymoon, from Seattle to San Francisco on one less cylinder than they should have. They remember the car fondly. The last photo is perfectly beautiful. 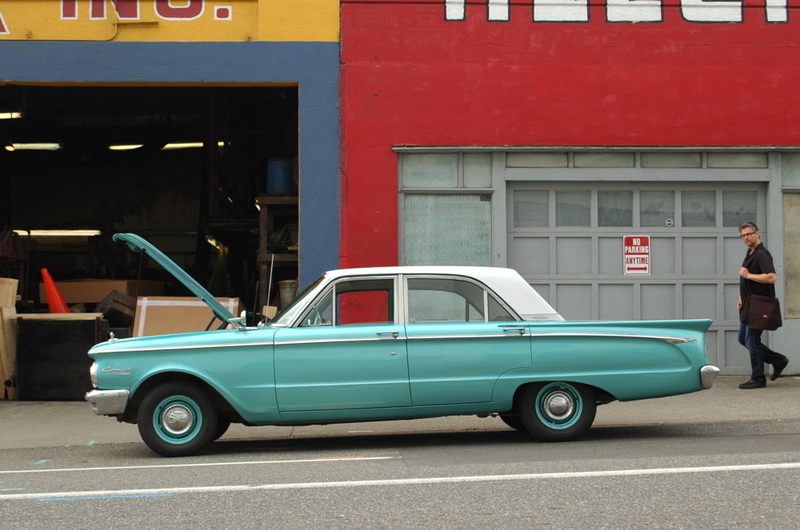 What a great scene of NW Portland color and style. 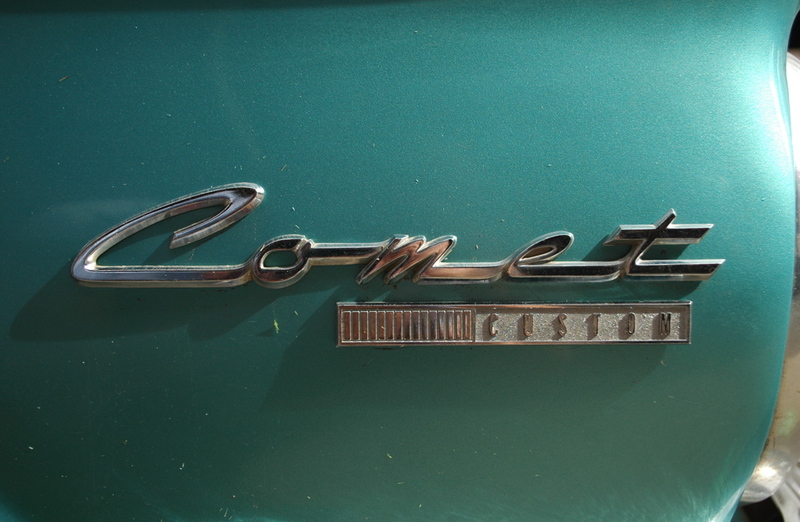 does anyone know what the comet's first set of color options were? white, black, red, and ? also, what is this custom's color name?